Shahid Masood has remained a controversial figure in the world of Pakistan media for a number of years. Today, a court issued a non-bailable arrest warrant for the TV anchor. The warrant was issued on the basis of a case related to corruption in state-run Pakistan Television — PTV. The renowned TV anchor has said to have defrauded PTV of Rs. 3.8 crores. According to details, the warrant was issued on the request of Kashif Riaz Awan, who is an investigation officer of the Federal Investigation Agency (FIA). Kashif claims that the accused did not assist in the investigation and deliberately avoided them hence such strong actions are taken. 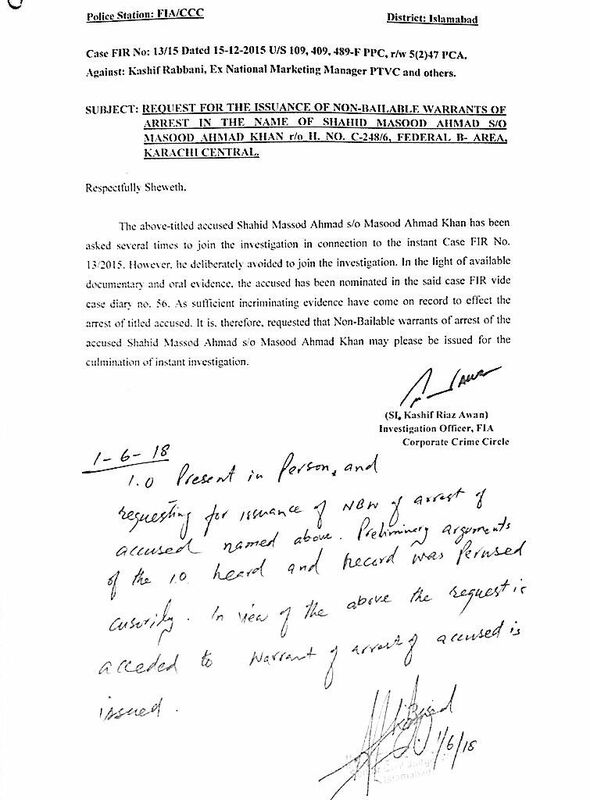 The investigation officer has also claimed that enough incriminating evidence has been found against Dr. Shahid to issue a non-bailable arrest warrant. Qanoon bhe bas matlab ka .. jo chahe jab chahe qanoon ka istimaal keya jaye.. PTV wese ee hamare Wapda k bill k paison par palne wala, na jane ab kia kia dekhna hai..
Muqadma to PTV par banta hai k hamare paison par wo kar kiya raha hai ? wohe ghissi patti news, na change aye na aa sakte hai. Wow. So Mr Shahid has really shaken up some jihejr ups, do much that they will do anything to “teach him a lesson”. This is what’s wrong with this country. A person tried his best to highlight a genuine issue, but our jahil awaam, like a pigeon, doesn’t want to open the eyes to see the cat in front of it.